Because that’s all they had in 1918. 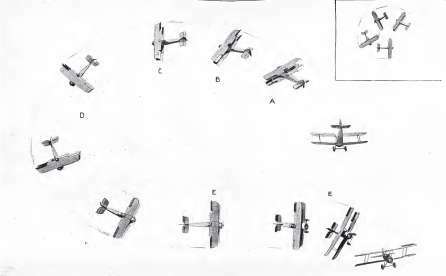 The book “Aerobatics” (you can view all 130 pages using the link) was written by Captain H. Barber and includes flying the “cartwheel”. My current recollection of cartwheels has a certain fatal quality but they meant something different in the way back. Must have had a whole lot of rudder authority to pull that off. They would have been amazed at the aerial antics of the Extra 300. This entry was posted in Aerobatics, Antique Planes, General Aviation, History. Bookmark the permalink.